Town officials say they’re not trying to be alarmists but warn this 'significant event' will rival the unnamed perfect storm of 1991. 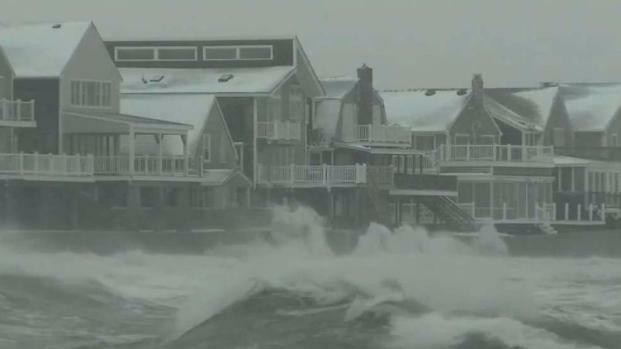 Residents of coastal communities like Scituate, Massachusetts, are preparing for a storm that officials predict will be more violent than the one that left roads and businesses flooded in January. Along Oceanside Drive, families that got slammed by the storm back in January are bracing for round two. Parts of the sea wall were destroyed, and houses had heavy damage and flooding after the January storm. Coastal New England is preparing for potential flooding during this week's nor'easter. “We’re not going to wait until the last minute like we did last time to leave,” said Alicia Chick, who lives along the coast with her husband and two kids. This time, the town says the storm is expected to be worse than January with astronomical high tides, and three high tide cycles before it’s over. Lori Shea, a financial advisor at Edward Jones, says her Scituate office just reopened Wednesday after completing repairs caused by the last storm's damage. "We faced being flooded and having to restore the office," Shea said. "I am just trying to prepare for the potential of it happening again." Local hardware stores are also ordering additional shipments of certain supplies. One hardware store employee says he expects an influx of customers by Thursday afternoon. "They're going come in for the extra pump, extra hoses. Maybe even some sand for the doors and garages," the worker, a man named Scott, said. Scituate Town Administrator Jim Boudreau says rescue vehicles are ready to go in the police station parking lot, if people don’t heed their advice to evacuate. “This is going to be one of those situations where the tide doesn’t recess much before it starts coming in again,” said Police Chief Mike Stewart. 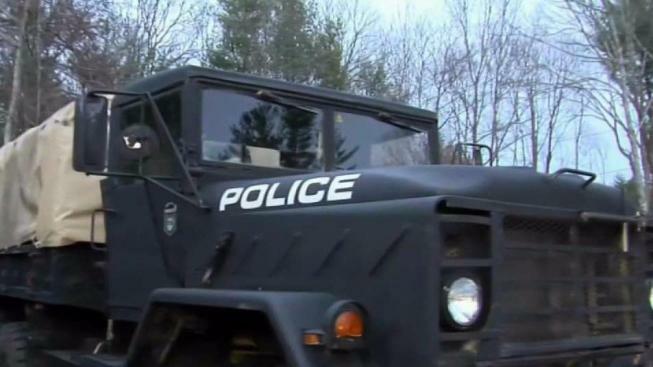 “When it gets bad down here they have to send hummers, army trucks and risk lives to save peoples lives,” said Keith Damon, a Scituate Resident. Town officials say they’re not trying to be alarmists, but warn this will rival the unnamed perfect storm of 1991. Officials in Duxbury are urging voluntary evacuations during high tides. The first high tide is Friday just before noon. The second one is Friday at 11:59 pm. They got slammed with a storm back in January. Parts of the sea wall were destroyed, houses had heavy damage and flooding. This time the town says the storm is expected to be worse than January with astronomical high tides, and three high tide cycles before it’s over.